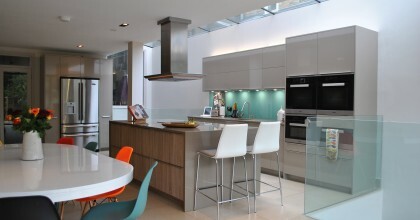 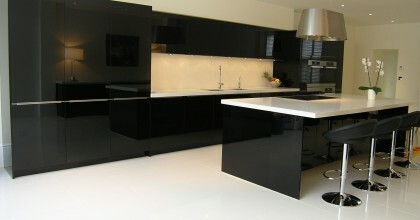 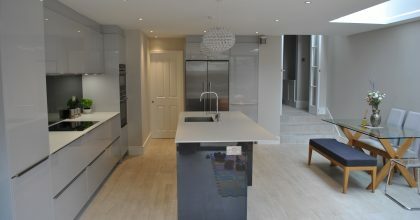 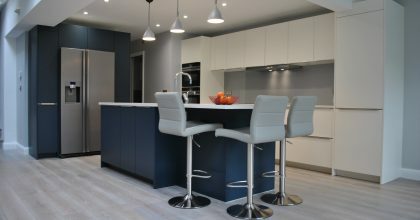 Minimalist kitchen designer in Clapham, London. 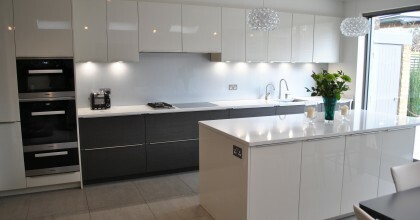 A very successful and popular alternative to a handle-less kitchens where an ultra slim top mounted handle is used on a flat fronted door. 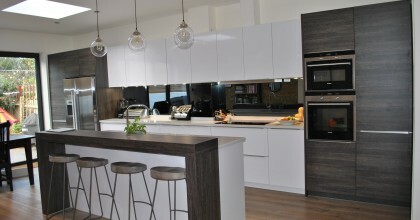 The handle is barely visible but very practical and gives a sleek look to the kitchen.